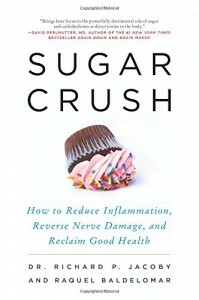 Sugar Crush includes a quiz in the book to assess if sugar is harming your body. I answered Yes to almost every question but two. I've been to the doctor many times concerning the symptoms I have but nothing has ever been discussed about nutrition or how much sugar I consume on a daily basis through sweets or processed foods. I started making small changes while reading this book (I checked the book out from the library 3 weeks ago) and am happy to report that some of my symptoms are already reduced. The author goes into great deal on how sugar is harming your body and is the cause to many health conditions but only spent one chapter on the diet that will help you quit sugar. I am hoping the author writes a second book to go into more detail for Plan A: The Ketogenic Diet or Plan B: The Blood Sugar Regulation Diet. Plan B is the one that I chose so now I'm looking for books to help me regulate blood sugar and kick the sugar habit.